RTI Surgical has announced the launch of NanOss bioactive 3D and map3 cellular allogeneic bone graft at the American Academy of Orthopaedic Surgeons (AAOS) annual meeting in New Orleans this week. The next-generation NanOss bioactive 3D is an advanced bone graft composed of nano-structured hydroxyapatite granules suspended within a porous gelatin-based foam matrix. This bone graft, which supports natural bone formation process, allows for precise placement of the graft into bony defects for a wide range of extremity and trauma surgical procedures. nanOss Bioactive 3D, when hydrated, becomes formable and moldable allowing the implant to conform to the defect site. The bone graft consists of nano-structured crystals that have extremely high surface area providing more cell attachment sites for osteoclasts and osteoblasts resulting in potential for improved mineralization, remodeling and bone formation. 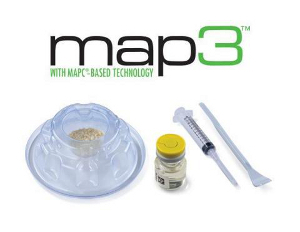 Map3 cellular allogeneic bone graft features cortical cancellous chips, demineralized bone matrix and viable adult stem cells based on the multipotent adult progenitor (MAPC) cell technology. These three essential elements are required to generate and maintain new bone. MAPC-class cells, a specific type of stem cell, are known to have osteogenic and angiogenic properties, important in supporting the bone healing process. The Map3 chips allograf has been processed to achieve optimal handling and is ideal for graft packing and filling bony defects. RTI Surgical president and CEO Brian K Hutchison noted the company is very excited to launch these two bone graft solutions. "NanOss Bioactive 3D, a synthetic bone graft, and map3 Cellular Allogeneic Bone Graft, a human tissue bone graft, showcase the broad portfolio of surgical implants offered by RTI Surgical," Hutchison added. Image: RTI Surgical’s map3 cellular allogeneic bone graft. Photo: Courtesy of BusinessWire/RTI Surgical Inc.